Moni made this yummy Cheesy Garlic Bread creation from Cut the Wheat. Very very moorish! The kids love this stuff! Like most of the faux bread creations in the low carb world it relies heavily on cheese and almond flour which, for me, goes down easy, but occasionally makes me feel a bloated if I have too much. The net carbs are quite low at about 7g per 500 calorie serving (if you can keep it to that! ), but once you count the protein from the cheese and the almond meal, the proportion of insulinogenic calories is 22% (i.e. still less than a whole egg at 25%). The bread alone is fairly low in micronutrients. However if we add some bacon and veggies to the mix, both the protein and other nutrients jump up to give a very respectable nutrient score. Overall, this appears to be a good garlic bread option if you have it with something else to break it up. 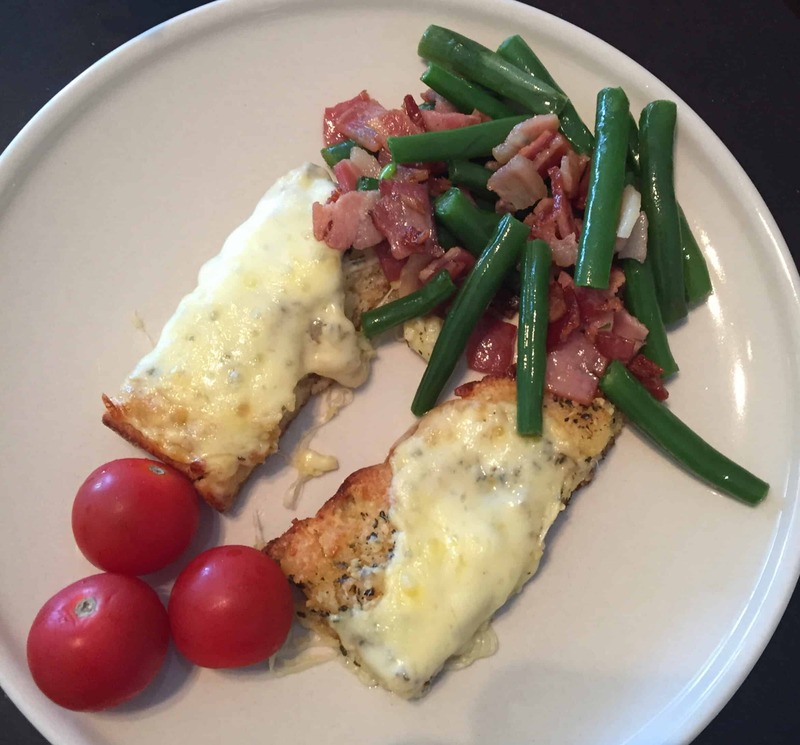 Even with the beans and tomato the net carbs are still fairly low and you may not end up binging on the yummy cheesy garlic bread. Marty, the original recipe has coconut sugar and yeast in it, did you cut these out and replace with something else?